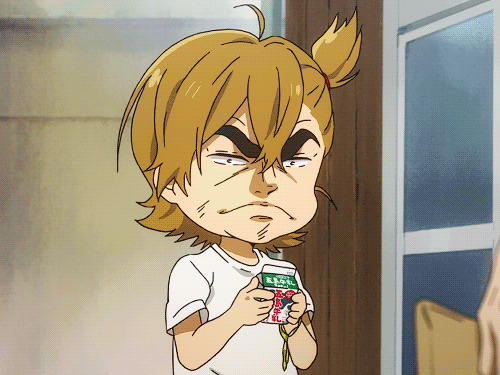 Barakamon was not the series I expected it to be. The last time I saw something set in the country was in a show called Non Non Biyori, which felt really slow at times and was, in my opinion, the very definition of slice-of-life. 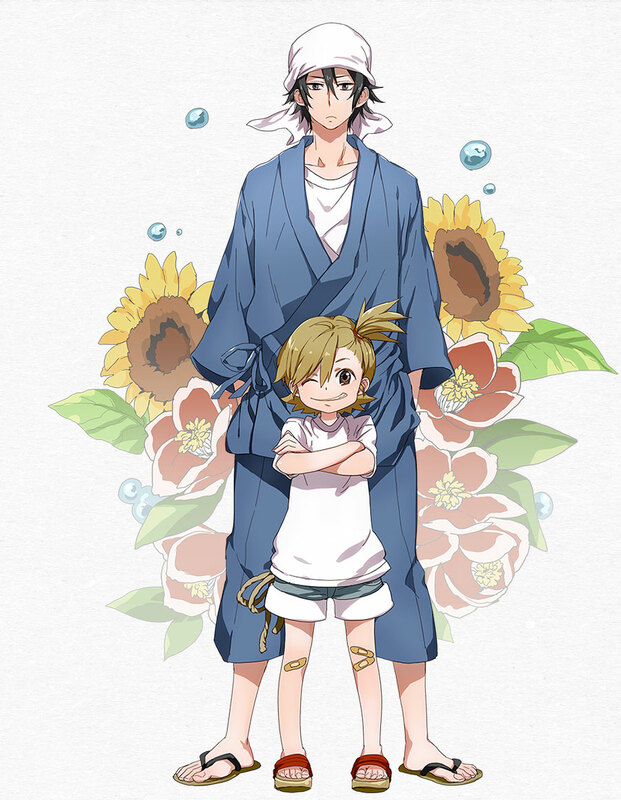 But Barakamon, which may turn off viewers because of its slice of life label, does not disappoint, for its goofy cast and silly story make it one slice of life show worth watching. Seishu Handa, an aspiring calligrapher, gets a little too mad at an elderly critic of his own calligraphy and ends up punching him. As punishment, Handa leaves the city for the country until he is able to apologize to the old man. He meets Naru, a little girl who was hiding in his cupboard in his new house (for whatever reason...) and many of the other villagers who receive him well. Each episode introduces a silly event or problem that involves Handa and one or two of the villagers. Though each episode may not relate to one another, the show is able to stay refreshing and fun. The animation is nothing special, but it definitely shines in Barakamon's silly moments, such as when Naru achieves her "manhood". The OST is very mediocre with some run of the mill background music but the OP and ED are well done and both use interesting art styles. But other than that, nothing really stands out in this department. This is probably the best part about this series. Handa by himself is probably not that interesting, but his interaction with all the villagers who are quite lively is a pleasure to watch. Every character somehow has that silly side, such as Handa's mother and the village leader. Handa and Naru make an amazing duo when Naru tries to play with Handa and the addition of Naru's friends makes the core cast very entertaining. She is definitely one of my favorite characters this year because of her enthusiasm and just how lovable she was. They make every episode lively and fun and that's why this series is gold. I really enjoyed this series because of all the times it made me laugh out loud. It also give you a good look into Japanese countryside culture, which is one of the reasons I enjoy Slice of Life anime. The silly characters and the setting of the Japanese country make for such a wonderful series. 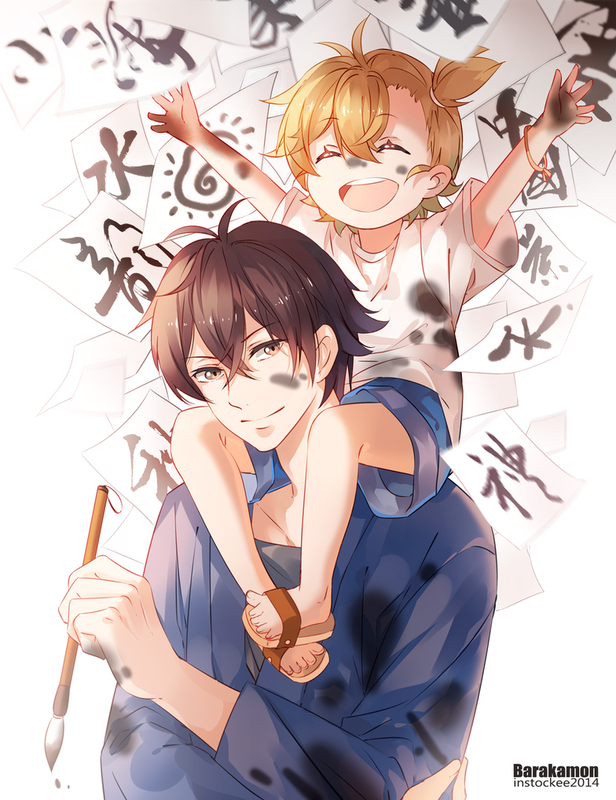 Barakamon is very refreshing because it's so mellow and you really don't need to think hard when watching this series. Just relax and enjoy the show. Stop reading this review and start watching! 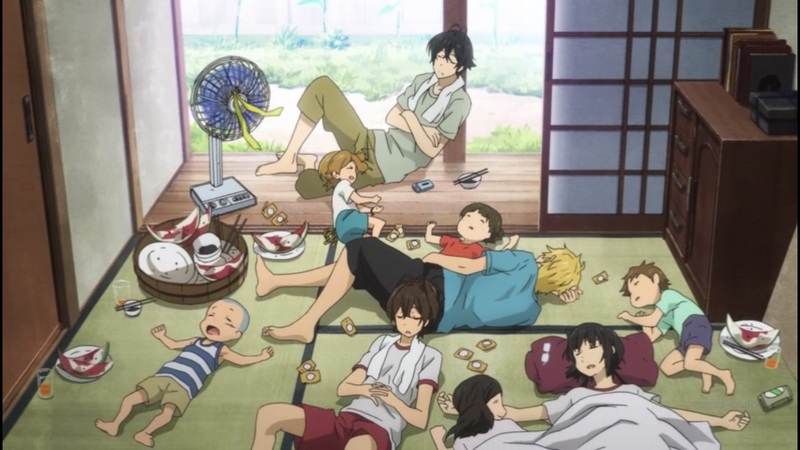 Barakamon is one of my favorite series of Summer 2014 and maybe one of the best of 2014 overall. It's colorful cast and silly skits are something you won't want to miss. Its simplicity is what makes it such a good series and is one of the reasons that made me watch anime in the first place. Watch this show for some light-hearted laughs.